It was clean, neat and tidy, had a pool and a gin distillery. 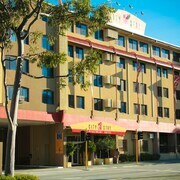 Clean, comfortable, modern hotel with kitchenette. Parking was out back of hotel on ground level. Easy access. Run down dump, rude guy at the front desk No towel, no soap or coffee, shower falling apart. Desk unattended a lot, and when it wasn't the guy was rude, gave me a wifi password that didn't work. Place like a ghost town. Great Location Great location with excellent staff. The staff couldn't have been more helpful. Afflicted with FOMO? Spoil yourself with a holiday in West Perth. Situated 1 kilometre from central Perth, it's a great place to stay while exploring Western Australia's capital. You won't struggle to find things to see and do in Perth. Spend time at its famous sights, Swan Bells Belltower and Kings Park and Botanic Garden, and take some seriously envy-inducing pics. Roaming around West Perth and its surroundings usually includes heading to the Perth Mint and Hyde Park. 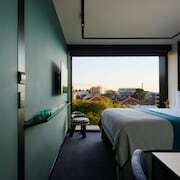 If you're keen to find a comfy bed near the Swan Bells Belltower, have a look at The Richardson Hotel & Spa, Quest South Perth, The Terrace Hotel, Duxton Hotel Perth and Mantra on Hay. 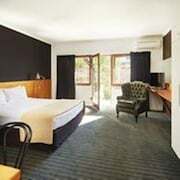 If you're keen to stay nearby after visiting the Perth Mint, the Fraser Suites Perth, Hyatt Regency Perth, Adina Apartment Hotel Perth - Barrack Plaza, Pan Pacific Perth and Crowne Plaza Perth are all comfortable options. On a nice day, spend a while walking around Langley Park. If you’re looking for a place to crash close by, the Crown Metropol Perth and Crown Promenade Perth are a couple of sensational options. An important building of comfort and prayer, St. Mary's Cathedral is definitely worth calling into. 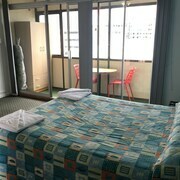 You can throw down your bags and catch some Zs at the Citadines St Georges Terrace Perth and Perth Central City Stay Apartment Hotel if you prefer to stay close to this sight. Want someplace to stay in West Perth but don't want to break the bank? Check out the bodacious deals at the Beatty Lodge. You better snap up a room quickly though, as there are only a few cheap hotels here. You really don't need fluffy bathrobes, a mouth-watering room service menu and 1000 thread count sheets all the time (but, you are on holiday, right?). The deluxe options here include the Ramada Perth, The Outram and Quest on Rheola. Holidays! They're for ditching the tinned food and cordial and spoiling yourself. Why not get yourself moving with a caffeine hit and a mouthwatering snack nearby at Church? Chances are you'll all be totes starving by the time dinner comes around, so why not make a reservation at Croissant Express West Perth? Whatever you're craving, the chefs will take good care of you here. Now you've warmed up, we don't reckon you'd say no to a few bevvies at Black Tom's. It's a fab place to debrief on the day's adventures. 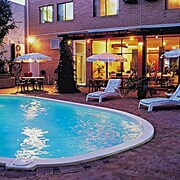 How about booking accommodations in Northbridge or St George's Terrace when planning your getaway? Northbridge is 1 kilometre from West Perth, and St George's Terrace is about 1 kilometre away. So, get cracking! It's time to pick your dream West Perth accommodations, experiences and flights. And remember to tag us in all your epic #FearlessTraveller snaps!